In the technology world, and more specifically, the venture capitalist world, the word “disrupt” gets thrown around an awful lot. Too much really. There’s even a Disrupt conference. Every new business these days seeking millions of dollars in funding has grand plans to disrupt the status quo, whatever that might be in a given industry. Of course, many great (and silly) ideas never actually materialize because of the many hurdles a company must climb to effect change. But that hasn’t stopped Lenda, a California-based online mortgage refinance shop, to dream the impossible dream. Lenda apparently has plans to eventually fund mortgages in a matter of seconds, as opposed to days or even months. At the moment, they’re being a little more reasonable, shooting for 21 days from application to close, as opposed to the industry average of 39 days, per the latest Ellie Mae Origination Insight Report. However, their near-term goal is to get that number down to a week (7 days), and eventually 48 hours. If that all pans out, their “mortgages in seconds” mantra could potentially become reality. And while it all sounds crazy, part of me is thinking, “Why not?” Why is the mortgage industry the same as it has always been? Why can’t a company come along and pull an “Uber” and make a meaningful change in this space as well? I’m assuming doubters will first point to the regulatory landscape, which makes it difficult to get anything done quickly in the mortgage world. All that paperwork is also a concern. Not to mention the many different parties that must all come together to get a home loan funded. But Lenda claims to do things differently, working exclusively online to get loans funded quicker and more efficiently. For example, you can fill out the mortgage application online and use DocuSign to send over electronically signed documents, which translates to 40 fewer pages to print, sign, and fax. It’s also good for the environment. 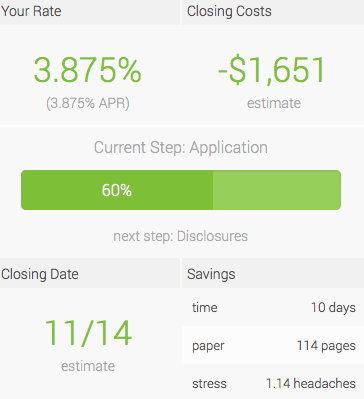 During the application process it tells you how many pages of paperwork you’ll avoid, along with the number of headaches. Cute. In the future, they hope to provide instant approvals after a credit pull, at which point an exact list of conditions would be generated. And borrowers could soon have the ability to pull real-time data, such as bank statements and tax returns, into the application. They’ve also cut out the “middleman,” aka the sales rep, to both streamline the process and cut down on costs. Lenda claims to save at least $8,000 per refinance by eliminating the mortgage broker and going with a direct-to-consumer approach, although the rates/fees I saw didn’t seem all that different from what I’ve seen elsewhere. Why Use Lenda to Get a Mortgage? If you’re wondering why you should choose Lenda, one key advantage is that the home loan process is entirely digital. Aside from being easier, it might result in a faster loan closing. Additionally, Van den Brand says mortgage interest rates are generally about an eighth- to a quarter-percent lower than other lenders, and that the APR will be lower via reduced closing costs. That’s all good and well, but will they actually be able to shorten the process and reduce the burden on the consumer? Time will tell on that one. They’ve certainly got a good group of investors, including Tom Fallows of Google Shopping Express, Winklevoss Capital (those Facebook twins), Kiva investor Sundeep Ahuja, and PayPal investor Jared Kopf, to name but a few. Lenda recently received $1.54 million in seed money and plans to enter several more states in the future. They currently lend in Arizona, California, Colorado, Florida, Georgia, Illinois, Michigan, Oregon, Pennsylvania, Texas, Virginia, and Washington, though they’re licensed in 43 states. At the moment, they only offer 30-year and 15-year fixed-rate mortgages backed by the underwriting guidelines of Fannie Mae and Freddie Mac. So there are some loan type limitations that won’t satisfy all homeowners. Future product offerings include jumbos, HARP, FHA, and CRA loans, and perhaps adjustable-rate mortgages. Now just imagine if companies like Opendoor and Lenda come together. We’ll be able to buy, sell, and finance homes in hours, or maybe even seconds with nothing more than our smartphones. While they only operate in 12 states currently, Lenda expects to go live in other states in the near future. Sounds like Tech BS. Good luck with getting loans done in seconds…. oh wait was that a refinance that just happened while I typed this email. Hey Angelo! I didn’t know they let you have internet in jail! Oh wait, you got away with it. 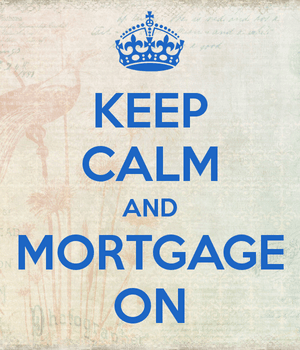 I am all for bringing the mortgage industry into the modern world – making it faster, simpler, and more personalized. Lenda is a horrible mortgage broker. I found the experience to be frustrating and maddening. They kept asking for the same information over and over. They changed the mind from day to day. I had to prove identity several ways. Had to prove my income several different ways. Had to prove my employment status several different ways. At the end of a two month process, we are still in limbo.